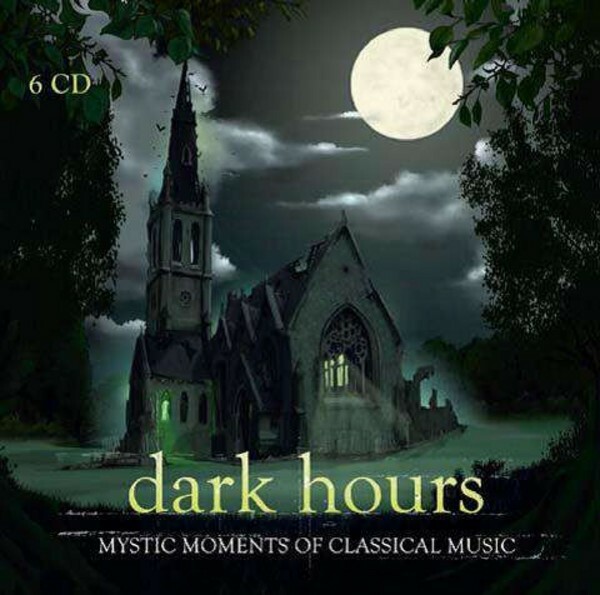 'Dark Hours' ‐ a 6 CD box containing works from the 'shadowlands' of classical music. The fan base of the genre is vast, encompassing fantasy, mystery and horror, with cult heroes aplenty. Right on cue as the darker seasons beckon, the media landscape is dotted with films of the genre. Reason enough to search for 'dark' treasure in musical history, away from the well‐ trodden compilation paths. Classical composers have always been drawn to the shadowlands of classical music and their works have often provided the inspiration or indeed the foundations for contemporary film scores. This 6 CD box set contains almost 8 hours of music, including many famous works such as Carl Orff�s 'O Fortuna' (Carmina Burana), Giuseppe Verdi�s 'Dies irae' (Requiem), Franz Schubert�s 'Death and the Maiden', Anton Bruckner�s 'Te Deum' and Mozart�s 'Lacrimosa' (Requiem). To be feared or followed? Do they lead to tears and anger or promise everlasting peace? An invitation to a grotesque dance: join in the danse macabre and the Witches� Sabbath. Intoxicatingly macabre!